Anybody tired of winning yet? Didn't think so. 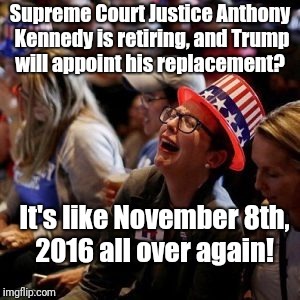 Supreme Court Justice Anthony Kennedy is retiring, and Trump will appoint his replacement? It's like November 8th, 2016 all over again!